Average employment in California agriculture rose 10 percent between 2004 and 2013, from an average 370,000 to 400,000. 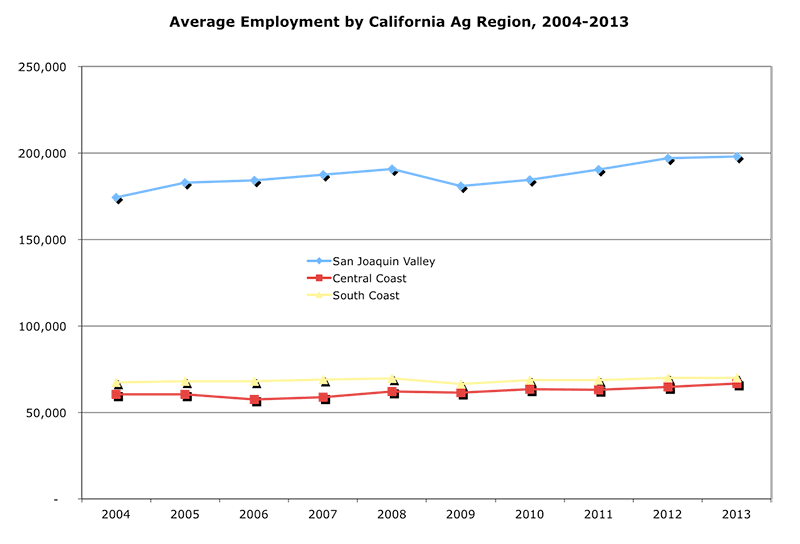 Almost half of agricultural employment is in the San Joaquin Valley, followed by a sixth each in the Central Coast (Monterey) and South Coast (Ventura) regions. Employment rose in each region over the past decade.